come with a 130gsm pastel white envelope and are packed in individual cello bags. When purchasing cards, please be aware of the following pricing structure: 1-6 cards: £1.50 each, 7 cards or more £1.25 each. Delivery charges are added at the checkout, and start (for UK customers) at 75p for up to four cards. 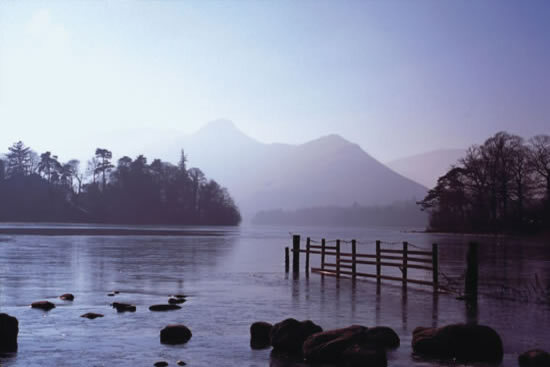 A cold and hazy January morning in the English Lake District provided the moodiness which makes this shot work. Keswick was a short stroll away for some warmth and coffee afterwards. This picture does nothing to exaggerate the wildness and remoteness of this Wester Ross landscape. The boat will be hired to visiting fishermen, drawn by the clearness of the water and grandeur of the whole place. This is just off the unique Achiltibuie to Lochinver road, so not far from the quirky Achins Bookshop and Tearoom, or from Lochinver with its famous pie shop and restaurant. 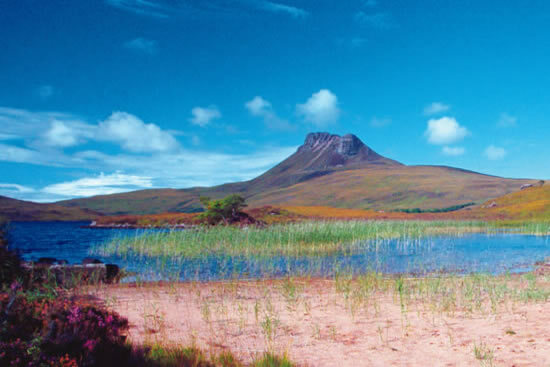 Like a number of mountains in this part of Wester Ross, Stac Pollaidh (pronounced 'Stack Polly') is freestanding above the loch-studded moors. It's a totally different landscape to the rest of the Highlands, and absolutely worth the drive. Here a sandy beach provides a pretty foreground, and a fair weather sky puts paid to the myth that it always rains here. There’s an excellent path up on to the ridge, and the views are spectacular in every direction, but to reach the very highest point requires some rock climbing skills! In this view of Loch Insh, by Kincraig, the trees are just beginning to turn to their autumn colours, and there will be a frost some nights. A dusting of snow on the higher tops will come and go now, too. 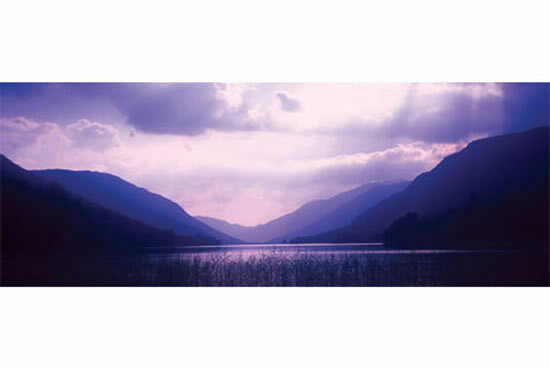 This brooding view of Loch Voil, near Balquhidder in Stirlingshire, captures the fleeting changes in light as a shower passes and the middle distance is bathed in sun again. It’s worth a visit, though, in just about any weather. 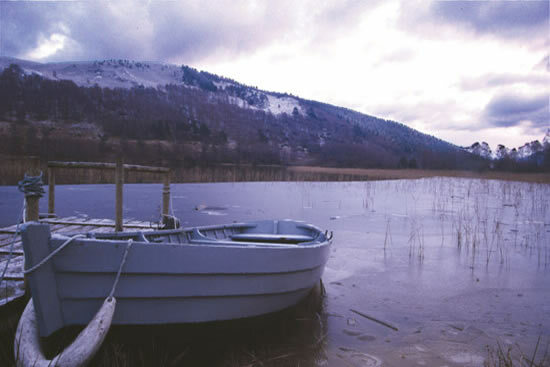 As well as its famous salmon river from which the district takes its name, Speyside has a fair number of small lochs such as this, which also attract the fishermen. The grey of the boat complements the colours of its surroundings on this winter afternoon. 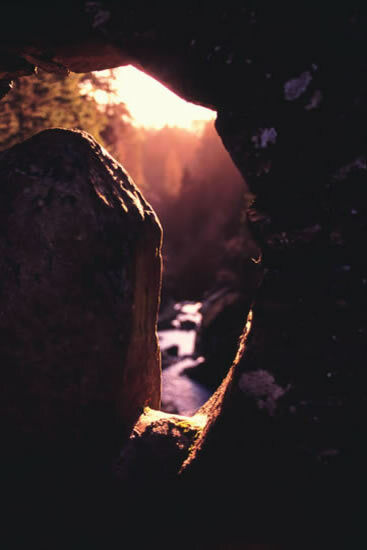 At one time much of Scotland was covered by native Scots pine forest, known as the Caledonian Forest, but most has now been lost. 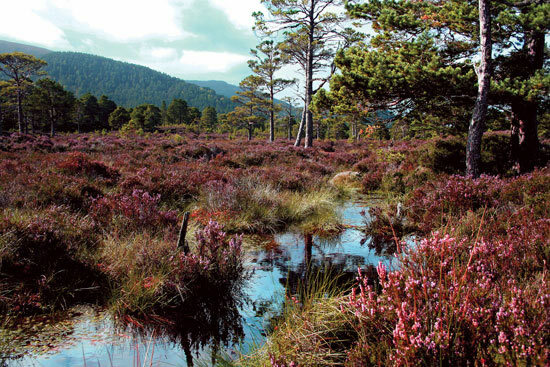 Rothiemurchus, just outside Aviemore, is thus one of the largest surviving areas of ancient woodland in Europe, with some trees over 300 years old, and has over 30 miles (50 km) of paths through the woods. It’s an iconic place, and the owners are keen to maintain it that way, so its future is bright. 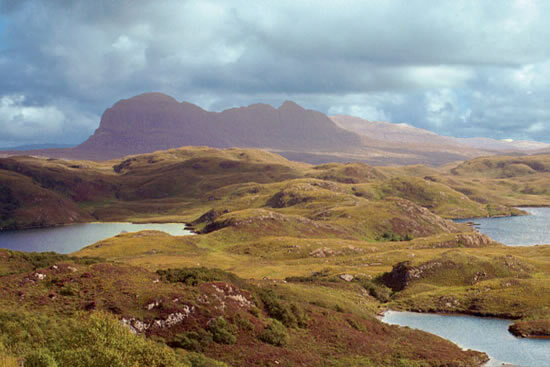 Suilven is one of several freestanding mountains in this part of Wester Ross which rise almost randomly above this huge undulating moor with its almost endless lochs. Here shadow emphasises the mountain’s broodiness, although the foreground is bathed in sunshine. 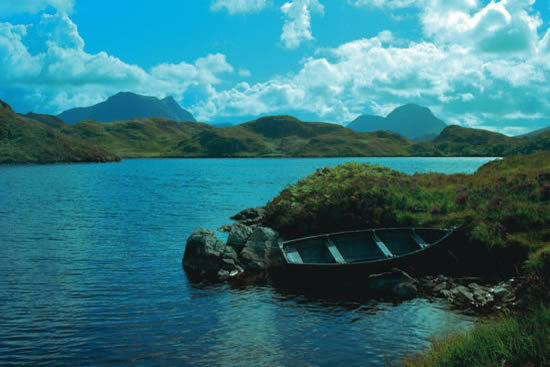 By British standards, Assynt in Sutherland is wild and remote. Roads are miles apart, villages with more than one shop 20 miles (30 km) or more. The scenery is dramatic, and one really has to go there to appreciate it. 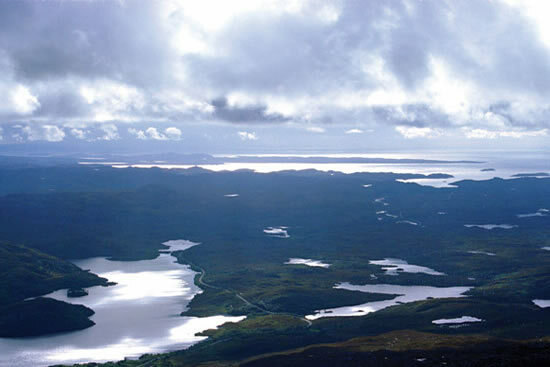 The view, taken from high on Quinag, looks south-west across Lochinver to the Atlantic. Situated close to the A82 trunk road between Bridge of Orchy and Glencoe, this familiar view varies so much dependent on the weather! This shot was taken in mid-April 2015, after a winter which saw unusually large accumulations of snow at higher levels. 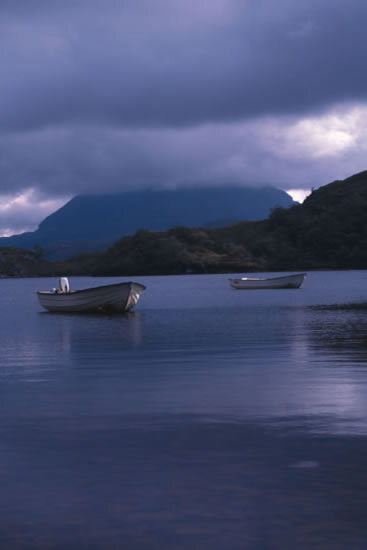 Although the top of this much loved mountain in the Coigach district of Wester Ross is hidden in the mist, its position free standing among the moors and lochs is clear, and the range of greys captured here are typical of so many quiet damp days in this part of the world. A few miles up the amazing winding single-track road to Lochinver is the quirky Achins Bookshop and Tea Room, well worth a visit, and then at Lochinver itself the justly famous Lochinver Larder with its amazing pies. 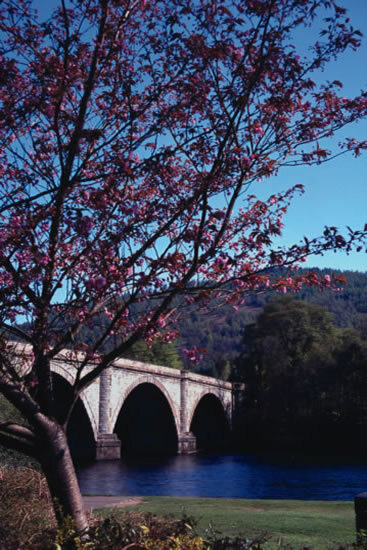 Nestling a short distance above the House of Bruar complex on the A9 Perth to Inverness road a few miles north of Blair Atholl, the gorge is best viewed from the two bridges which span it. 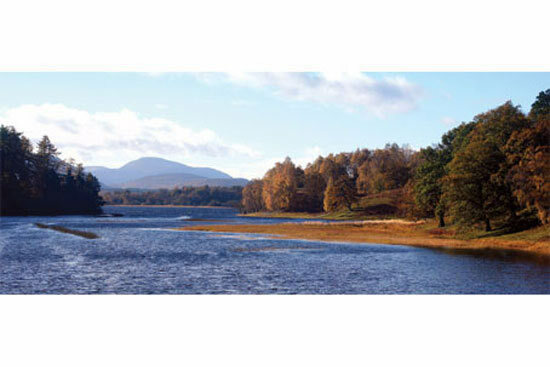 There is also a pleasant pool for swimming at the Falls of Bruar if the water levels and weather are conducive. Sitting on the Highland Boundary Fault some fifteen miles north of Perth, the setting of Dunkeld is very pretty and often atmospheric. This elegant arch bridge provides a fitting entrance to the village, enhanced in this view by the pretty blossoms. 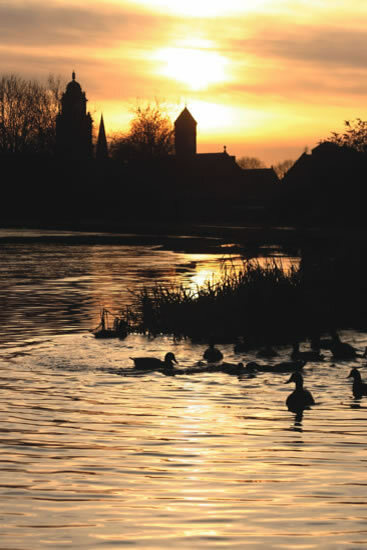 Perthshire is arguably eastern Scotland in minature. 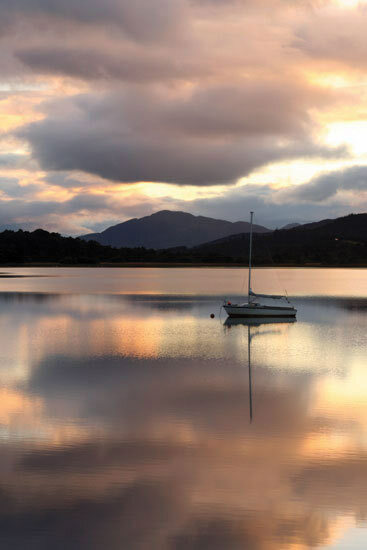 Here in the southern Highlands a bright calm evening gave a sense of peace and stillness beside the loch. 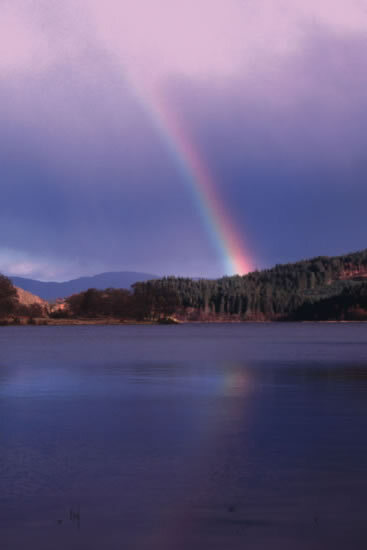 As a shower moves away across Loch Achray in the Trossachs, sunlight steals in behind to provide the fleeting colour of this rainbow. 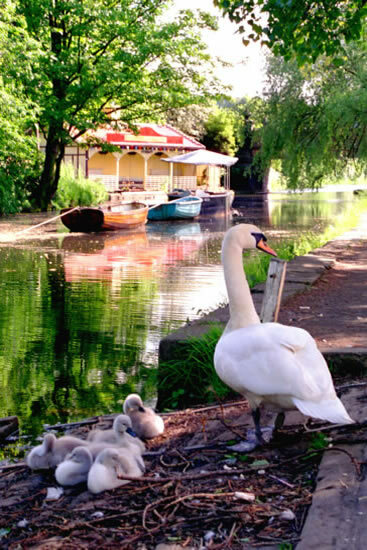 Canals bring the countryside and its wildlife right into the cities, and the Union Canal is no exception. The towpath is a great way to get out for a walk in the city away from endless traffic, and now once again links the whole way through to Bowling on the Clyde estuary. This image was taken in west Edinburgh. This view, looking towards Lancaster town centre, captures the eveining light shortly after sunset. There are mallard, moorhens, and gulls in abundance, not to mention lots of goldfinches. 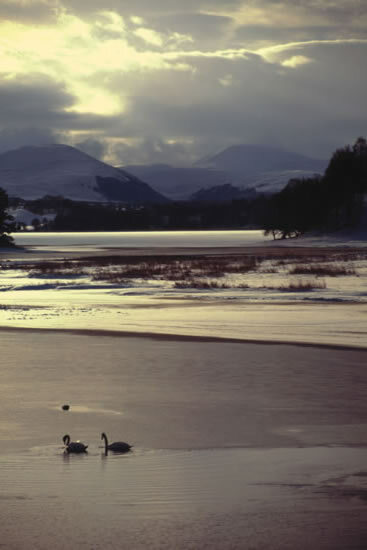 Loch Insh, on the River Spey halfway between Kingussie and Aviemore, is worth a visit at any time of year. In summer ospreys nest nearby, and can regularly be seen fishing on the river here. In this winter view parts of the Loch are frozen, quite a common happening in these parts where most winters will see the coldest morning at -15 deg C or below. 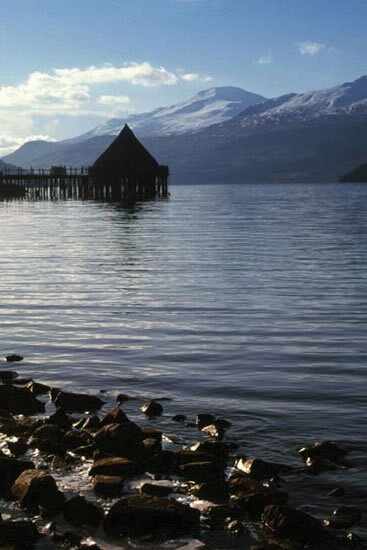 This reconstruction of an ancient loch dwelling on Loch Tay in Perthshire could hardly be in a more dramatic location, overlooked by Ben Lawers, here seen in the background. 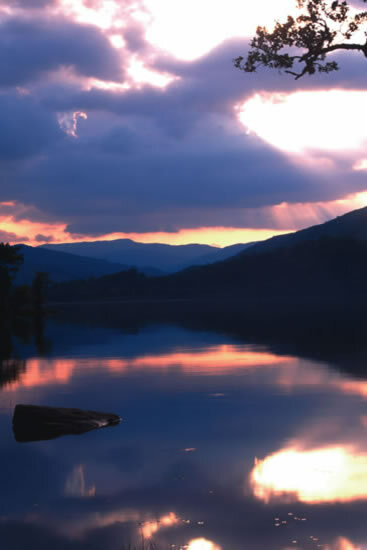 The remains of eighteen crannogs have been found in Loch Tay alone. 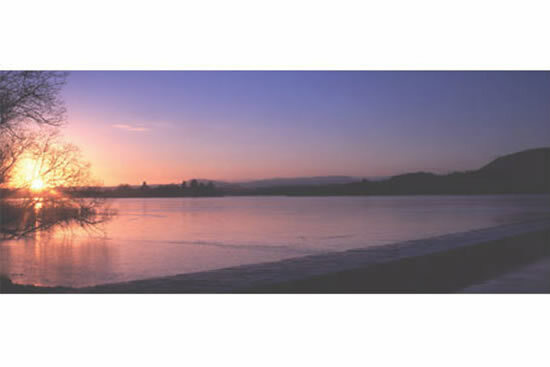 I make no apology for the disproportionate number of views of Loch Insh: it’s a great spot. This one was taken from the Boathouse Restaurant car park; the restaurant has the same views as does the adjacent bar. They also do self-catering accommodation and lots of activities. 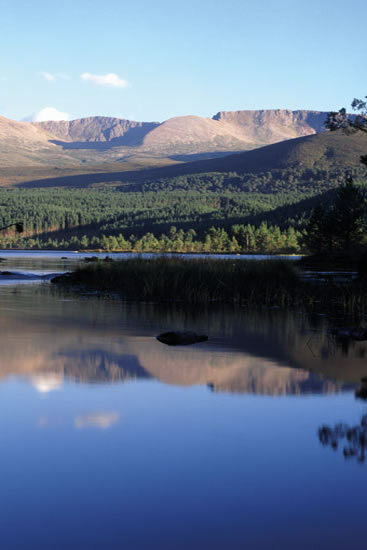 Set in the heart of the Cairngorms National Park, Loch Morlich nestles at the foot of the north side of these mountains, which make up the highest plateau in the British Isles, with five summits above 4000 feet (about 1220 metres). There is a delightful sandy beach at one end, a pleasant destination in almost all weathers, with a café and watersports as well. 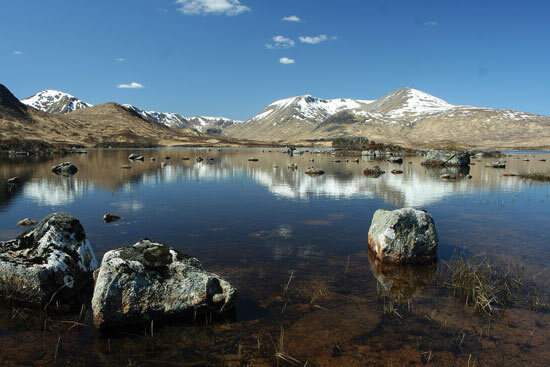 Or take a walk from Glenmore Lodge up to the delightful Green Loch in the Ryvoan Pass. 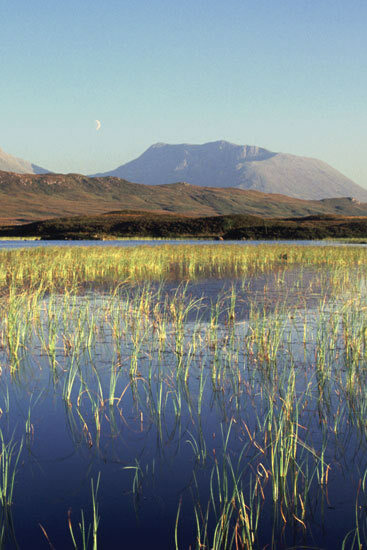 Rannoch Moor has a justified reputation as an inhospitable wilderness, but it has its gentler moments, such as this at the end of a fine warm day, with the crescent moon now clearly visible in the sky to the east.